One of Calvin’s very first masterpieces. 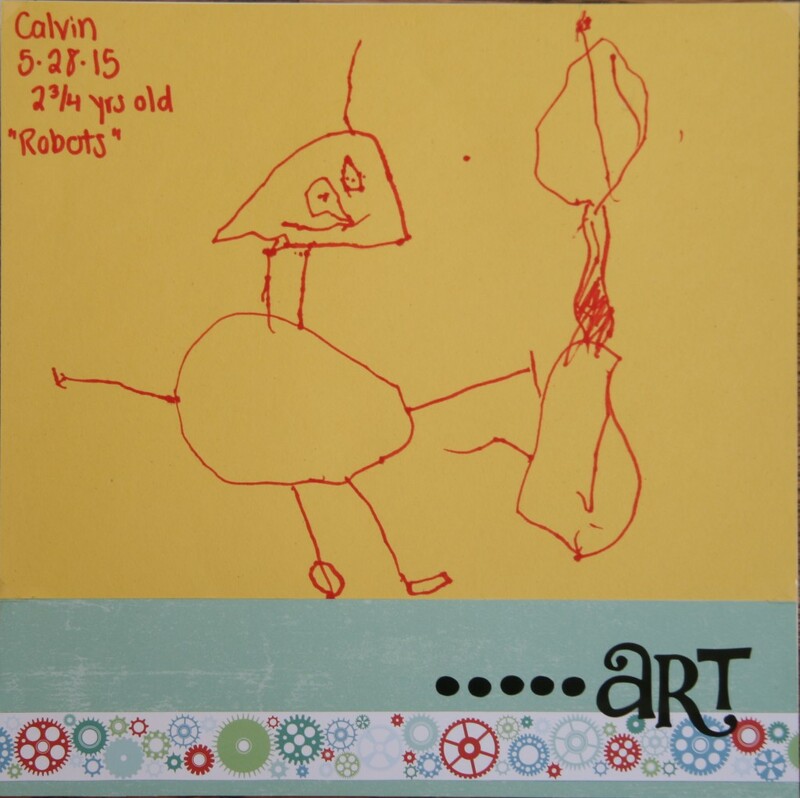 He followed instructions in his big brother’s art book to draw a robot. A must for his baby book.